ASP.NET web pages are simply pure text, like HTML files. ASP.NET web pages are the main building block for application development. You can develop your applications in any language compatible with the common language runtime, including Microsoft Visual Basic and C#. These languages enable you to develop ASP.NET applications that benefit from the common language runtime, type safety, inheritance, and so on. ASP.NET incorporates all the important standards of our time, such as XML and SOAP, plus with ADO.NET and the foundation class libraries. ASP.NET developments supports three different models, they are Web Pages, Model View Controller(MVC) and Web Forms. 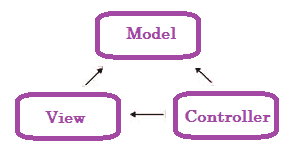 Model View Controller (MVC) architectural pattern separates web applications into three different components, Model, View and Controller. It is a lightweight, highly testable presentation framework that is integrated with existing ASP.NET features, such as master pages and membership-based authentication. It is defined in the System.Web.Mvc assembly. 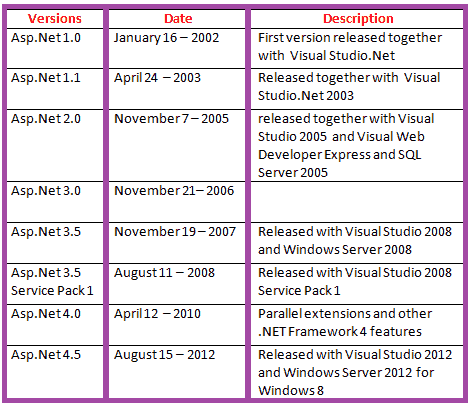 The following tables gives you in details of Asp.Net versions with the .NET Framework releases. You can develop Asp.Net web application in several available software packages. Visual Studio .NET is an excellent development tool for constructing ASP.NET web applications. It provides all of the necessary tools and support for creating ASP.NET web applications. ASP.NET web applications are hosted by Internet Information Server (IIS), which accepts requests from clients and optionally authenticates them before passing the requests on to the Web application. 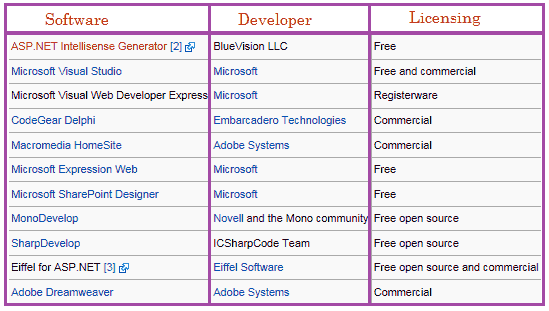 Asp.Net Mono is the Open Source development platform bases on the Microsoft .Net Framework. You can run your Asp.Net applications in MONO, you have three options. They are Apache hosting, FastCGI hosting and XSP. XSP is a lightweight and simple webserver entirely written in C#. From the following chapters you can learn more about ASP.NET technology in detail.